Play During #HalcyonDays ‘Infamous Heroes’ Weekend! Ozo will be unlockable with ICE only for the first 7 days. Afterward, you will be able to unlock Ozo with ICE or Glory. Ozo performs a three-hit combo with his ring. Each part of the combo is a separate tap within a 5-second window. First hit: Ozo thrusts his ring forward, damaging the target and other enemies in front of him. Second hit: Ozo dashes through his target and deals damage. Final hit: Ozo spins, damaging all nearby enemies. Each hit deals weapon damage and triggers basic-attack effects. Ozo heals for each enemy damaged by any of these hits, with hero damage granting a greater heal. Ozo hops onto the head of a nearby target (enemy, ally or creature), slowing it by 60% and damaging it. While Ozo is airborne, quickly tap a nearby target to bounce off one head to the other. Three hops maximum. The final hop deals increased damage. If Ozo hops at least twice, he’ll get a burst of move speed. Reduced crystal scaling vs. minions. Ozo charges up before tumbling to a targeted enemy hero. If he reaches the target within 1 second, he deals damage, stuns for 0.5 seconds and flips the target over his ring to behind him. While tumbling, Ozo will knock aside and deal reduced damage to all other enemies in his path. HALCYON FOLD LUNAR NEW YEAR MAP SKIN! The heroes of Vainglory are celebrating the Lunar New Year! We decorated the Halcyon Fold for the occasion. Read the Lunar New Year map interview with Super Evil artist EvilOnTheInside. To celebrate Lunar New Year, Koshka explodes onto the Fold in her luckiest red party dress, the one with the pretty peacock on the back, oh! and did I say DRAGON CLAWS? Plus, she sets off firecrackers with every ability! This special Koshka skin will only be available for a limited time, so get it in the Market while you can! Read about ‘Red Lantern’ Koshka’s Festival adventure with her friend, Ozo! 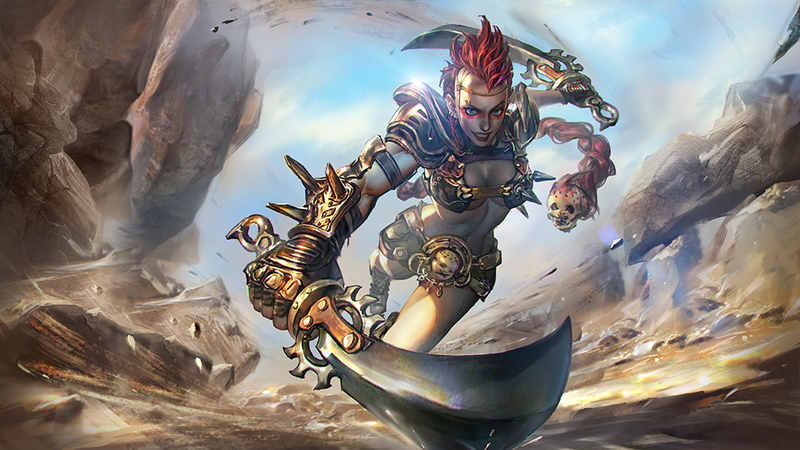 Read the Fury Rona reveal lore. 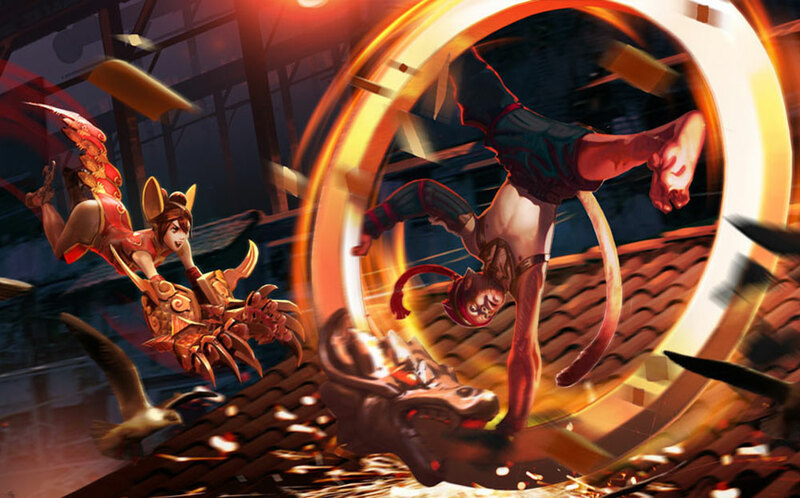 CELEBRATE LUNAR NEW YEAR WITH SPECIAL VAINGLORY EVENTS! The Lunar New Year is coming! Get ready to play every day during our Lunar New Year celebration to collect in-game gifts, cards, Double Glory & more! ‘RED ENVELOPE’ NEW YEAR GIFTS EVERY DAY! Need more Glory to unlock heroes for the new Draft Mode in Ranked? 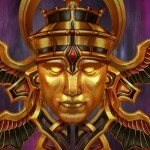 Have your eye on an awesome skin and need more cards? Sign in each day during the big Lunar New Year Celebration between Feb. 5 4PM PST – Feb. 12 4PM PST to get escalating Red Envelope Glory gifts! The total Glory is massive, so don’t miss a day! Total potential gifts: 4,900 Glory! For the first time ever, we’re discounting heroes in the Market (both ICE and Glory prices). Use the Glory gifts you’re collecting to unlock the heroes you need to play the new Draft Mode in Ranked. This special Lunar New Year sale is for a limited time, so get sale heroes while you can! In preparation for the limited-edition Red Lantern Koshka skin coming in Update 1.14, each account that plays on an iPhone or iPad between Feb. 2-12 will receive a free Koshka hero unlock. Just sign in and play any time during the Lunar New Year event! This Koshka unlock brings you one step closer to meeting the new Ranked play hero requirements. Log into your account on an Android device between Feb. 2-12 to get a free Ringo hero unlock. Remember: The free hero rotation does not apply to Ranked play, so this incredibly versatile sniper brings you one step closer to meeting the new Ranked play hero requirements. To celebrate the Lunar New Year, every game you play on Feb. 7 and Feb. 11 will grant double Glory post-match! It’s two more ways the Lunar New Year will help you accelerate toward a wide array of hero unlocks to keep the game fresh and give you more game mode options. Double Glory lasts for 24 hours from each date. All you need to do is play; you will get twice the Glory as normal for every match you complete! Cards ‘Crazy 8’ returns on Feb. 10 at 4PM PST for one day only! For 24 hours only during the Lunar New Year celebration, players will be able to earn guaranteed cards. Starting at 4PM PST on Wednesday, Feb. 10, your first eight wins will reward you with guaranteed cards. The more you win, the better and better the cards will get! Wins 1-4: Get a guaranteed Rare card. Wins 5-7: Get a guaranteed Epic card. Win 8: Get a guaranteed Legendary card! This special card event will end at 4PM PST on Thursday, Feb. 11. Remember, this event only lasts for 24 hours! Don’t miss it! Play every day to take part in the biggest in-game event in Vainglory history! Tell your friends, get in games, collect your gifts and celebrate the Lunar New Year with us. A number of major gameplay changes are coming together in Update 1.14 as our Winter Season continues. Update 1.14 brings Draft Mode to Ranked play! Draft empowers players to use their game knowledge more effectively and adds an element of strategy that heightens the game experience. Read below to find out how Draft Mode changes the game for you! Draft is a big change, so we’re going to make it in steps. This will allow players to become familiar with the new mode in a comfortable, gradual way. And most importantly, it allows us to collect lots of community feedback before the feature becomes mandatory in Ranked. This game belongs to all of us, and your input helps shape it. Let us know what you think of the new Draft mode and how we can make it better for you! In Phase 1, Ranked matches will only feature Draft Mode if you have queued as a full three-person party, and you will only play in Draft against three-person parties. If you enter Ranked solo queue or as a two-person party, you’ll play Blind Pick the same way you always have. We have the ability to expand Draft Mode to all of Ranked at any time. We will be closely monitoring player feedback, with a special focus on how easy (or hard) Drafting is to understand and how Draft matches feel. We’re super-excited about this new feature, and we look forward to expanding it to the full Ranked experience! Draft starts by letting the players make the big decisions. Each draft phase will be different and fresh, resulting in countless combinations! The first stage of Draft Mode will assign each player on a team either first, second or third pick. First pick is the team captain who will decide the ban for their team. Captains tap on a hero to select them. A second tap will lock-in that ban choice. A banned hero cannot be played by either team. Draft Mode continues with the pick stage. Hero selections are exclusive in this phase. Once a hero is chosen, it is not available to any other player (on either team). Though you are part of a team, you are the only one picking when it’s your turn to draft. Hero selection is your choice. Use your time wisely. Though the draft follows a 1:2:2:1 picking format, each player has their own turn to select the hero of their choice. This ensures two players are never competing to see who can pick and lock a hero first. Players are given 25 seconds to ban or pick a hero. Draft Mode empowers players to be more expressive during hero select. Throughout the Hero Select Phase, players are able to tap on a hero to give a thumbs up or thumbs down. Allies can see these indicators, immediately delivering feedback throughout the draft process. This will help you suggest a ban or a pick to allies and formulate a thoughtful hero comp, as well as dissuade allies from selecting a hero that won’t fit in well. At any time during hero selection, a player can indicate to his team which position he intends to play via the familiar role selections of LANE, JUNGLE or ROAM. Additionally, players will also be able to show whether they intend to build crystal, weapon or utility items on that hero. Let your allies know how you plan to build, and avoid those double-weapon or double-crystal comps that are easy to counter. Draft Mode is changing so much about Ranked play, but we couldn’t let pick order hurt the plans of the brilliant schemers out there. After each player has picked a hero, the Swap Phase begins. You can suggest a swap with an ally, and if they consent, you’ll switch heroes. Swapping is crucial for prioritizing hero picks early in the draft — even if the player making the pick isn’t the player who intends to use that hero. These trades are even allowed if one of the trading players hasn’t unlocked one of the heroes being swapped! Draft Mode will not be exclusive to Ranked queue. Allowing draft as a Private game mode will better support the thriving tournament scene and make this level of strategic preparation easier to practice and utilize by everyone. You’ll find the draft option listed as “PRIVATE – DRAFT” in your Private game drop-down menu. Because captains are chosen randomly, each player will have the opportunity to experience each stage of Draft Mode. You will be assigned either first, second or third pick for your team. This predetermined pick order provides structure to change three players into a team. Respect and follow the pick order, allowing players above you to pick their roles first. The number of unlocked heroes required for ranked is also increasing. Because there are 2 bans and 6 unique picks, players must have unlocked at least 8 heroes to queue for Ranked play. It’s best to feel comfortable playing as any role before diving into Ranked queue! The Gold Mine always returns to neutral after capture. Minion Candy now works on neutral jungle miners and lasts the full 60 seconds. Remember: If it’s neutral, a candied miner can still turn on you! Jungle camps are now more powerful overall, with more defense, damage and move speed. Heal camps now restore more health & energy to compensate for tougher monsters, and the restoration scales with your level. 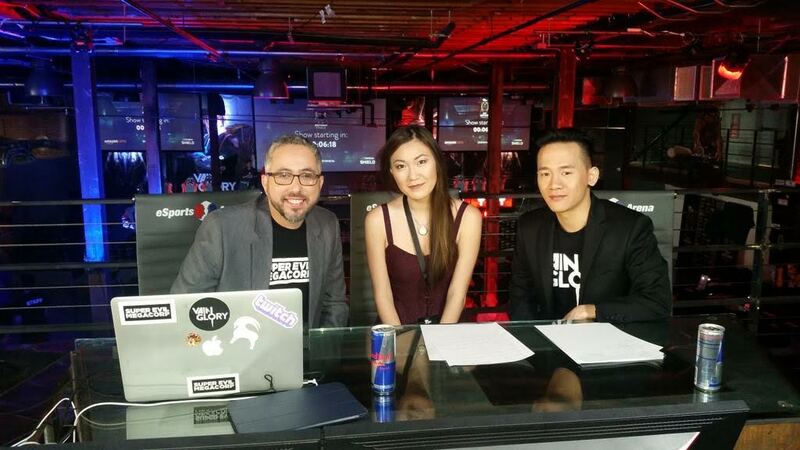 PlayoffBeard, Hafu & ROAM (from left) working the Autumn Live Championships analyst desk. Gone are the days when one team “controls” the Gold Mine as a capture-and-hold point. This helps prevent mid-game snowballs and makes every Gold Mine payout worth fighting for (and steal-able)! If it’s safe to take Gold Mine, you can do so at any time without having to worry about maintaining possession. If you cannot take it, then pop a Minion Candy to make it a more difficult objective for the other team. 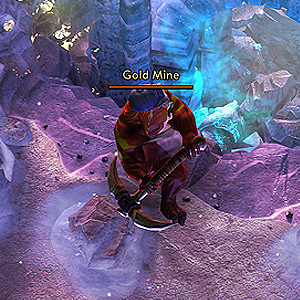 Leash the Gold Mine mid-teamfights to pull it within range of the enemy team, and focus on using your positioning to maximize neutral miner damage to the other team, while minimizing the damage to your own. Remember: The Gold Miner deals ranged attacks! A reminder on the basics: An ally Minion Miner will provide crucial jungle vision for your team, fight on your side and make your lane minions stronger vs. enemy heroes and turrets. Controlling a single mine is a win-win; the only real decision is whether to take it immediately at 4 minutes or whether to wait until Minute 8 when it’s worth a ton of gold. Now that you can take one Minion Mine without over-pushing your lane or feeding the enemy extra gold, you can use a candied miner as an extra jungle ally to fend off invasions (or help keep invade gains). This is especially important with the new jungle lethality. You may need the help of an extra friend when if you’re forced to fight at half-health. Using a Minion Candy on the new Gold Miner is an obvious choice, but the most successful players in Update 1.14 will also utilize Minion Candy to buff Minion Miners. Not everyone realizes that you could always use candy on a Minion Miner; it just hasn’t been important until now. Minion Candy now lasts for the full 60 seconds once being popped on a Minion Miner and alongside the added Health introduced in 1.13 we can expect them to be a great support in the jungle. 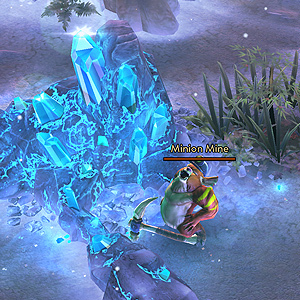 Prevent early-game snowballs by capturing a Minion Mine early to help you defend when playing from behind. And with the vast amount of gold and XP available if a Minion Miner is stolen, it’s worth carrying a Minion Candy or two to defend your jungle friend. Jungle camps now have more strength, defense and move speed. But to prevent premature casualties, the healing camps provide extra health and energy. This puts more depth precisely at the way we choose to distribute jungle aggro (who the monster hits) and how opposing teams can meet head-on in the middle jungle. In order to properly maximize XP and bonus gold (on Ironguard Contract), jungle duos must know how to take on the jungle camps. To effectively do this without sacrificing levels, they have to learn how to split out the damage as well as the aggro. Do not kill one monster at a time. It’s best to evenly split the damage across all the monsters, then have the roamer leave the vicinity just far enough to to still gain bonus Ironguard gold but not XP. Leaving XP range is known as “hyper-leveling.” This helps your jungle carry reach Level 2 before your first fight. Keep in mind that your roamer cannot simply tank all the jungle monster damage like before. You’ll need to spread the damage between your jungle duo in order to not cripple one jungler or the other. Aggravated jungle camps will now pursue you with more move speed. 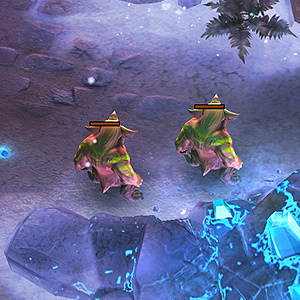 This means these more lethal monsters will pose a danger to both melee and ranged junglers. Jungle monsters will get tougher over time as you level up, so they won’t be push-overs at any point in the match. That means these tips will consistently apply throughout the game. Stealing the enemy’s back jungle camps are now much more punishing to you. You might steal the gold, but you’ll walk away with a health meter reflecting the jungle battles you just had. It’s important to remember just how risky it now is to steal enemy back camps, even if you secure an early kill. You’ll be very vulnerable in the time afterward. The placement of Scout Traps is now even more effective when placed properly to deal damage, especially in early levels. Not only can these net you a kill with a trap, but it can also save your jungle camps from being stolen. 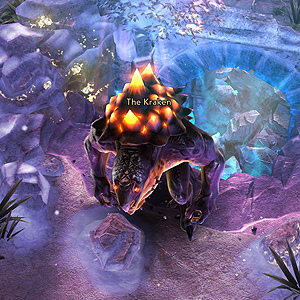 Kraken is the heavily contested objective of the late-game. Having Kraken be available more often results in more team combat, contested areas and strategic decisions. Kraken’s respawn timer is down from 4 to 3 minutes. Kraken is slightly weaker to basic attacks and slightly more resilient to abilities. With all these Winter Season jungle changes, there’s much more depth in how to approach jungling. The new jungle opens up new possibilities while keeping the learning curve balanced for both new and experienced players. Experiment with different jungling styles — conservative and aggressive alike — as this will not only improve personal mechanics but team coordination as well. You need to be extra-thoughtful when deciding how to approach jungling. Carefully decide each match between the ultra-efficient jungle clears we’ve grown accustomed to and battle readiness. When that enemy team tries to catch you underprepared, will you be ready? ROAM is a former Vainglory competitive player widely considered one of the best roamers in the world. He now works for Super Evil on secret projects of great import. Death clocks are largely unchanged at minute 0 and minute 24, but at minute 15, they are now 5 seconds longer. We’re also addressing an issue with late-game 5 turret sweeps. Currently favors late-game team compositions a tad too much. We’re tweaking it back, but keeping the mechanic a prominent part of Vainglory. Rounding the lane gold to a nice round number of 200 per wave, the large minion is now worth exactly 2 creep score. Turrets no longer attempt to defend allied heroes that are outside of their attack range. Crystal damage is shown as blue numbers to better illustrate the source of all damage. Gain a stack for every 125 weapon damage dealt to enemy heroes (+5 weapon damage needed to earn each stack thereafter). Decays 2 stacks per second after you’ve stopped stacking for 2 seconds. 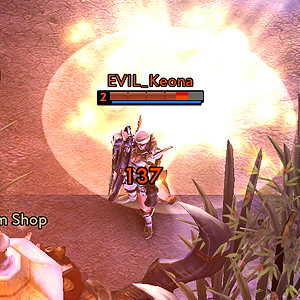 Several heroes have kits that invisibly grant damage reduction in the form of bonus defenses. We’re removing the stopgap solution as now we believe Fortified Health (introduced with Reim) is a better way for indicating that heroes are temporarily tougher than normal, but can still deal damage to their health (unlike Barriers). Fortified Health can absorb twice as much damage as normal health, and is displayed as a lighter colored section of the health bar. Barrier upon reaching max Blood Rage removed. Ardan seemed like he was Kung Fu fighting. His kicks were fast as lightning. Fixed a bug where his attack animation and attack cooldown were slightly faster than standard. Vanguard’s long range allowed Ardan to succeed with poor positioning. Now, Ardan’s allies need to be more aware of when Ardan needs an escape and provide him one by stepping closer. Gauntlet lacked the proper telegraphing to allow enemies to react to it. Also, the displacement near the wall was often very jarring and confusing for its victims. We’re making Gauntlet much more avoidable due to the telegraph ring, but instead of displacing you to either side of the wall, it will now instantly stun you if you don’t move out of the way! Displays a ring when cast where the Gauntlet will form. Players caught touching the wall when the animation completes are instantly stunned instead of pushed out of the way. Active Camo is an interesting ability that forces Kestrel to make split-second decisions, which can be a lot of fun. Fixed a bug where Goop’s initial burst dealt full damage to Minions & Kraken. Armor and shield up from 100 to 120-125-130-135-145 + 12% crystal ratio. Damage increased from 430-670-910 to 450-750-1050. Clarify: Only base damage is enhanced by Arcane Fire’s self-cast boost. Fixed a bug where Into the Fray would rupture the ground 0.2 seconds later than intended. Damage to minions lowered to 50%. Pack wolves changed so they only take hero damage from basic attacks. The in-app Newsfeed has been upgraded with more tabs featuring the best Vainglory content. Fixed a bug where consuming new infusions after you have leveled up during the existing one did not recalculate stats based on your new level. Gauntlet now displays the correct stun duration. Fix bug where Attack of the Pack wolves would stutter when attacking fleeing heroes. Fixed a bug where his perk’s speed boost didn’t last for the full duration in early game. Celebrate the Lunar New Year with us with Update 1.14 and get huge Glory gifts when you log in every day!